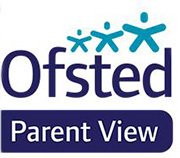 As you will know we have welcomed the Ofsted inspectors into our school this week. We had been waiting for this visit as it had been two years since the last one. We are confident that the hard work we have all invested since the last inspection will be recognised. The inspectors’ findings will be published in a report within a month of the visit. We will let you know as soon as this is available. Thank you for your continued support and all of your kind messages and sweet treats! They were much appreciated.